LOS ANGELES -- Hours after owner Donald Sterling was banned from the NBA for life, the Los Angeles Clippers returned to an energized Staples Center and beat the Golden State Warriors 113-103 on Tuesday night to take a 3-2 lead in their first-round playoff series. DeAndre Jordan had 25 points, a playoff career high, and 18 rebounds while Chris Paul scored 20 points. Sterling wasn't there to witness the victory, and he won't be at future games. Clippers coach Doc Rivers high-fived each of his players near the bench in an uncommon display of excitement as the final seconds ticked away. Jamal Crawford of the Clippers hugged and slapped hands with fans at courtside on the way to the locker room. "I thought they were great," Rivers said of his players. "I thought they were tired a lot, and that was the result of the last few days. I just thought they had great mental toughness. They wanted to will this game, and I'm just proud of them." Commissioner Adam Silver also fined Sterling $2.5 million and called on NBA owners to force him to sell the team for making racist comments. The Clippers were greeted with a standing ovation when they came out for pregame warm-ups. They kept on their Clippers warm-up suits, unlike Sunday in Oakland, when, in a silent protest against Sterling, they tossed their sweatsuits bearing the team logo onto the court and went through their pregame routine with their red shirts on inside out. The Clippers are on the brink of just their third playoff series victory since Sterling bought the team in 1981. Game 6 is Thursday night in Oakland. Paul, the Clippers' All-Star point guard and the president of the players' union, issued a brief statement before leading the Clippers against the Warriors. "In response to today's ruling by the NBA and Commissioner Adam Silver, my teammates and I are in agreement with his decision," Paul said. "We appreciate the strong leadership from Commissioner Silver and he has our full support." In addition to his 20 points, Paul had 20 points, seven assists and six rebounds as the Clippers won Game 5 and moved within one victory of just the franchise's third playoff series victory since Sterling bought the team nearly 33 years ago. 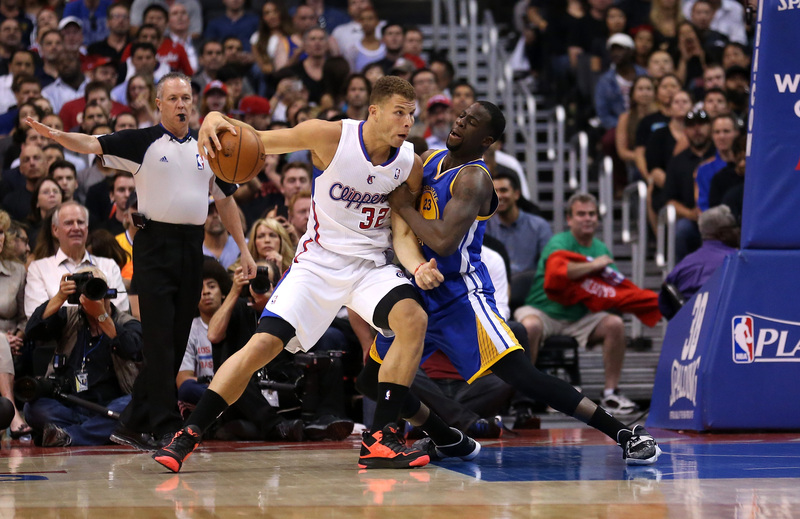 Crawford scored 19 points for the Clippers while Blake Griffin had 18 and Darren Collison 15.